Happy Lunar New Year! Today is the first day of the Chinese New Year 4713, the Year of the Sheep, based on the Chinese lunar calendar. On Tuesday night, a Grucci fireworks display over the Hudson River launched a week-long celebration of Chinese art and culture in New York City. For the event schedule, visit the website Fantastic Art China. 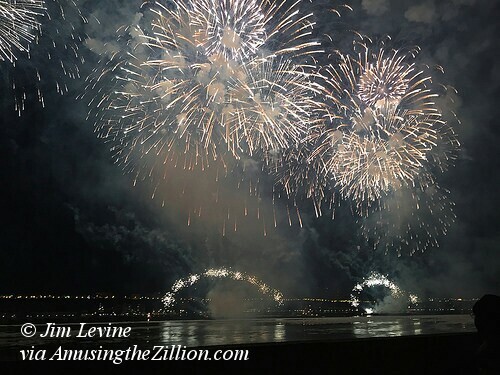 Many thanks to ATZ reader Jim Levine, who sent us his gorgeous photos and video of the fireworks. 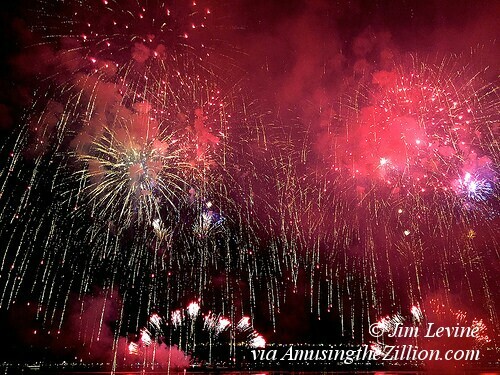 According to the event’s organizer, the China Central Academy of Fine Arts (part of the Chinese Ministry of Culture), this is the first time in U.S. history that a large-scale fireworks show celebrated the Lunar New Year. 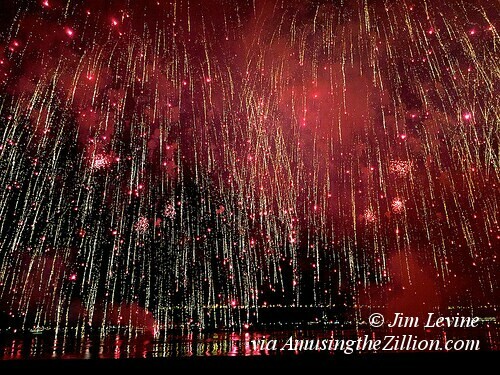 The three-barge Grucci Fireworks spectacular employed 27 pyrotechnicians and took 972 man hours to set up. Grucci has produced the fireworks entertainment for the Opening Ceremonies of the 2008 Summer Olympics in Beijing and the 60th Anniversary of the People’s Republic of China, as well as seven consecutive U.S. Presidential Inaugurations, and World’s Fairs.